Recycled container features a heavy-gauge steel base and steel top, both with a powder-coat finish. 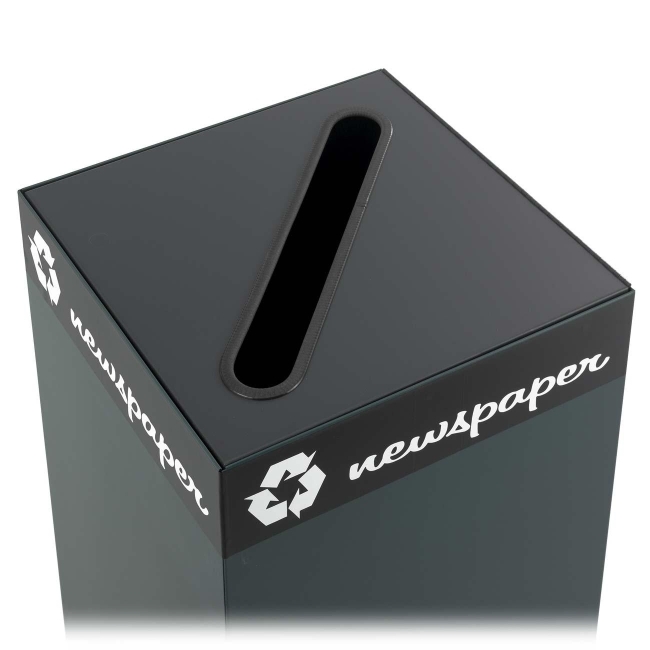 The hinged top (sold separately) is specifically designed to accept cans, glass, newspaper or waste. Lid includes decals designed to segregate waste and recyclables. Securing wires in the base hold plastic container bags (sold separately) in place. Base and top are sold separately.